GAINESVILLE, Ga. – Pierpont Brown, III, MD, FACS; Casey Graybeal, MD, FACS; Ronald Lewis, MD, FACS; Alex Nguyen, MD; and the staff of Northeast Georgia Physicians Group (NGPG) Surgical Associates welcome Edward Foxhall, MD, FACS, to the practice. Dr. Foxhall received his medical degree from Universidad Autonoma de Guadalajara School of Medicine/ University of Maryland and completed his residency in general surgery at Lankenau Hospital in Philadelphia, Pa., where he served as chief resident. 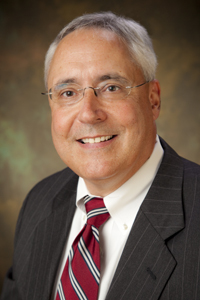 In addition, he completed a year in post doctoral studies in laparoscopy, oncology and trauma at the University of Alabama department of surgery in Birmingham, Ala. Dr. Foxhall is a fellow of the American College of Surgeons and is board certified by the American Board of Surgery in general surgery. Northeast Georgia Physicians Group Surgical Associates’ board certified surgeons have more than 150 years of combined experience and are at the forefront of advanced procedures including robotic and incisionless surgery. They offer expertise in a wide range of general surgeries and surgical specialties including bariatric, heartburn/GERD, oncology and thoracic. NGPG Surgical Associates is located at 1075B Jesse Jewell Pkwy., in Gainesville. The practice is open 8:30 a.m. – 5 p.m. Monday through Friday. Call 770-536-5733 to schedule an appointment or to learn more about the services the practice offers. Visit www.ngpg.org/surgery for more information. NGPG Surgical Associates is an affiliate of Northeast Georgia Health System.